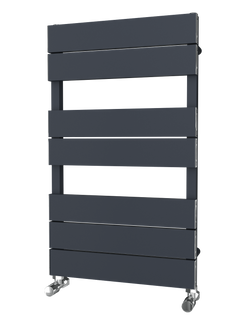 The Radiator Company Ancona Floor Mounted Column Radiator is a best-selling sectional Column radiator range boasting the UK’s highest output multi-column. It comes pre-assembled in various heights, widths and column configurations. Both options are weight baring meaning the radiator only needs to be tied back to the wall for safety. 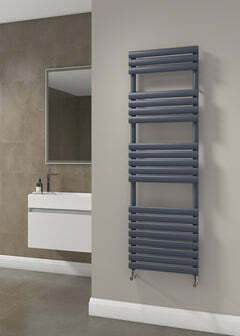 The Ancona allows you maximum flexibility to create a radiator that matches your exact requirements. A vast array of over 500 sizes can be achieved by combining column depth, height and number of sections to achieve your desired output without compromising space; select a mounting option and add a colour or special finish to complement your interior. The Radiator Company Ancona Column Radiator is available in White. 500+ combinations in 2,3 & 4 Column. Delivery: 3-5 working days for White. The White 2 Column Radiator is a beautiful column radiator, which has been exclusively designed and Made in Italy. 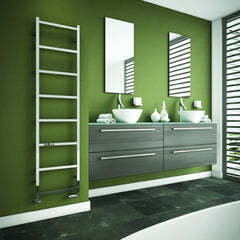 This stunning radiator can also come with optional slip on feet. This gorgeous column radiator can also come with optional feet creating the floor standing look. 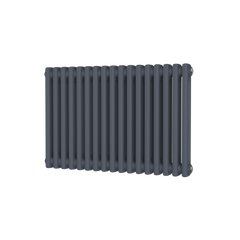 The Radiator Company Ancona Column Radiator is a best-selling sectional Column radiator range boasting the UK’s highest output multi-column. It comes pre-assembled in various heights, widths and column configurations.